One of the 13 original colonies, “The Free State” is a hub for history lovers. With living-history colonial towns, national shrines, the home of The Star-Spangled Banner, and the birthplaces of some of the nation’s most important civil rights leaders, Maryland is home to a wealth of historic sites and museums. This beautiful brick fortress stands sentry at the mouth of Baltimore Harbor and today, as a National Historic Shrine, it preserves our history. In 1814, its battle flag inspired Francis Scott Key to pen The Star-Spangled Banner. During the Civil War, the fort served as a Union hospital and, later, Fort McHenry bordered the second biggest point of entry for European immigrants. Once the capital of the United States, it was here that the Continental Congress signed the Treaty of Paris ending the Revolutionary War. Later, General George Washington stepped down as Commander in Chief of the Continental Army. 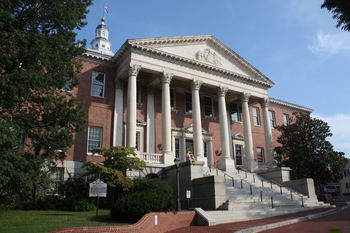 Today, you can admire this beautiful old building on its hill in the heart of Annapolis, which remains the home of Maryland Government. Founded in 1634, today living historians keep the streets, fields and ships of Maryland’s first capital alive. Tour the working 1600s plantation, experience the reconstructed state house, and walk the decks of the Dove, a reconstructed sailing ship that brought the first Colonists to Maryland. Step beyond the Monopoly board and feel the power of old steam engines at the birthplace of American rail. Often called the most important railroad museum in the world, tour its beautiful roundhouse and ride genuine historic trains. Its rolling hills, idyllic streams and bucolic forests give no sign of the soldiers' blood that once soaked the fields of Antietam, site of the single bloodiest day of fighting in American history. Learn more about the Civil War in Maryland. This park and museum honor Benjamin Banneker–scientist, astronomer, mathematician, abolitionist, surveyor, farmer, almanac publisher–on the site of his former farmstead. This 138-acre park is the largest African-American historical site in the country. It was here that American hero Harriet Tubman made her first act of defiance when she gave aid to another enslaved person. The blow to the head she received from an angry overseer would cause her health problems for the rest of her life, but never dimmed her courage. 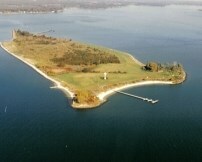 It was here on this island in the Potomac River that Maryland’s first colonists landed on March 25, 1634. The state park now preserves this place where those brave people fleeing religious persecution prepared to build their first colony. Clara Barton National Historic Site is open for tours. Check the website for select days of the week and specific times..
Part of the Clara Barton National Historic Site, the Clara Barton House was built partly from lumber recovered from emergency shelters built by the Red Cross in the aftermath of the Johnstown Flood. Barton, the famed humanitarian who launched the Red Cross, lived here until she died in 1912. This beautiful, 354-foot long stone bridge spanning the Casselman River was a marvel of engineering when it was completed in 1811. The bridge was part of the historic National Road that opened the West and stands as the country’s first great civil works project. 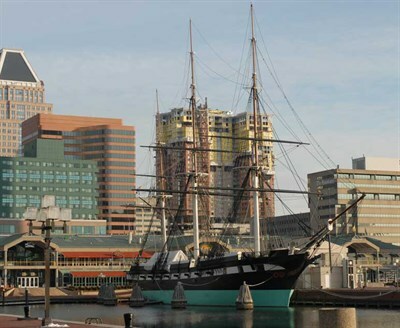 With her soaring masts reaching high above the harbor, the USS Constellation is an enduring part of Baltimore’s skyline, but the historic vessel marks the end of an era. Once the flagship of the U.S. Navy’s Africa fleet during the fight against slavery, the Constellation was the last all-sail warship built by the Navy. 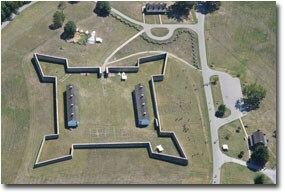 Built in 1756, on what was then the frontier, the fort served in the French and Indian, Revolutionary and Civil wars. The fort was restored using the original plans and now stands as a look into the days of westward expansion. In the heart of Chesapeake oyster country, this historic structure was literally built on old oyster shells. Now part of the Calvert Marine Museum and considered one of the most important remnants of America’s historical oyster industry, J.S. Lore stands as a testament to the watermen of the Chesapeake. One of the house’s original Bugeye Schooner boats is preserved at the museum. A strident speaker, brilliant thinker and unwavering crusader for freedom, few people have shaped the American landscape like Frederick Douglass. His book, Frederick Douglass: Narrative of an American Slave remains one of the great works of American literature and a foundation for the philosophy of freedom and equality. This museum, built in Douglass’s former summer home, preserves his legacy and life. Or venture out on Maryland's Frederick Douglass Driving Tour for an immersive experience of one of America's most iconic figures. 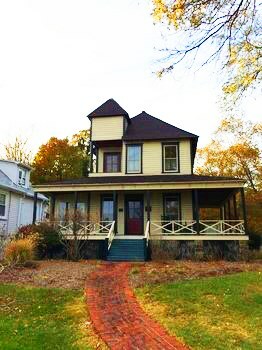 More about Frederick Douglass Museum and Cultural Center "Twin Oaks"
Travel through these Heritage Areas to see some of the best of Maryland's historic sites and towns.